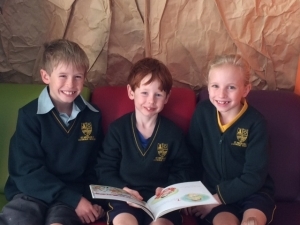 Our aim at St Michael’s is to cater to the individual needs of all children within the classroom. However, extra programmes throughout the school are provided. 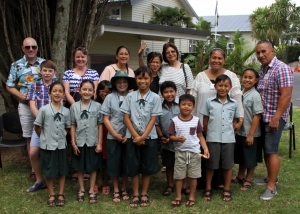 Many external agencies also service the school including RTLB (Resource Teachers of Learning Behaviour), GSE (Group Special Education), Speech Therapist, Child Psychologist, Occupational Therapist, NZ Police School Service, Literacy and Numeracy consultants. The Religious Education programme is timetabled daily, and it is important that parents/caregivers support this learning programme. Each child has an R.E book relevant to their year group that they work on throughout the year. At the end of each strand it is important that a comment is made in the ‘Parent Comment’ section. Following six year net testing, children with identified reading difficulties are enrolled in our Reading Recovery programme. Reading Recovery offers an individualised reading and writing programme which is attended by the student for half an hour a day, 5 days a week. Rainbow Reading is a group reading session held for half an hour a day, 5 days a week to provide reading support for children requiring extra reading mileage. Children with identified abilities are offered an Enrichment Programme which encompasses many areas. The children are rotated throughout the year so more children can take advantage of this successful learning programme. Over the last five years St Michael’s have worked intensively on the development of high quality Literacy and Numeracy programmes. All staff under-take intensive professional development to upskill and to ensure high standards of teaching and learning are sustained. 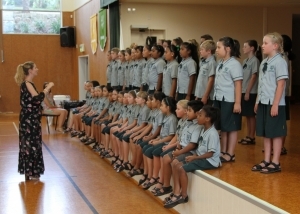 Full Curriculum review is recurring this year as we ensure the full implementation of the New Zealand Curriculum. Performing Arts, Languages & ICT will encompass exciting opportunities this year. When a child has been at school for approximately six weeks literacy and numeracy baseline data is collected. This information enables us to gauge progress when further tests are conducted. 6 Year Nets All children at St Michael’s Catholic School are tested at the age of six in areas related to their literacy development. The results this test produces enable us to compare our six year olds to other six year olds around New Zealand. The results also identify any children who may require Reading Recovery intervention. Students are regularly assessed from the time they start school until they leave. In order to provide information on achievement, we use a variety of methods, both nationally recognised and school based. Books are marked and assessed to ensure progress is being achieved and results are discussed with parents at the student led conferences mid-year, and at any other interview times. Overall Teacher Judgments confirm Assessment results. Throughout the year, children in years 4 – 6 are given the opportunity to sit the ICAS exams. These exams are internationally recognised and are conducted throughout Australasia. They are optional and user pays. All children learn at different rates and at different levels. Your child/ren needs to be a child. Homework is given as a revision of the school day, as an opportunity to practice learning such things as spelling & basic facts or for completing unfinished classwork. Parents/caregivers are most welcome to discuss their child’s understanding of their homework throughout the year via email or at a mutually agreed appointment time, after school hours. Teachers will contact parents for an appointment if there are aspects of a child’s homework which need to be discussed further. The children should read every night and if they receive any homework it should be something they can do. If they can’t do it, a note can be sent to the classroom teacher. The children are all signed up for Matific and this is also a valuable homework tool with regular revision of basic facts also recommended. Children may have many extra-curricular activities and teachers understand if a child is unable to complete homework on a ‘busy’ family night. Please keep in touch with your child/rens teacher about homework, and use the excellent ‘class pages’ on the website. Reading (book of the day) or book log. Reading should be for 20 minutes followed by the children retelling in their own words what they have read. This can be supported by orally asking and answering comprehension questions.